Will Natal tech be built-in to the next Xbox? It takes a big man to apologise. And Microsoft boss Steve Ballmer has gone ahead and done just that, issuing an apology for his recent comments regarding a new Xbox console releasing in 2010. 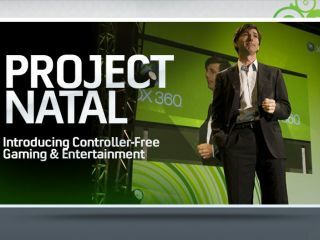 Ballmer's recent 'NextBox' comments were widely reported last week, with many speculating that the next Xbox console will have motion-control Natal tech built-in. "I confused the issue with my poorly chosen words. There is no news in my comments. Things are as reported after E3. Sorry." Stay tuned for more news on slightly confusing speculation about future games consoles based around the poorly chosen words of Sony, Nintendo and/or Microsoft execs as and when we get it!